With spring now having arrived, it's time to make sure everything is prepped for a day out on the bike. Judging by the number of cable kits that get sold in January and February, I'd say that the first two months of the year are when folks redo the cables as the ground work for the cycling season. March and April seems to be the time that folks put on new tires and tubes. Like most folks, I have a bag on my bike that I keep a collection of parts and tools in. One thing that I always keep on hand is a patch kit. I do have a spare tube with me, but I keep a patch kit on hand just in case. Wait for 6 minutes to let the glue dry. This will depend on the amount of glue used. Hold with finger and thumb for 2 minutes. It's always handy to double check your cycling bag before the start of the season. Check that you have a spare tube (and that it seems to be in good shape) and you haven't lost the patches or glue from your repair kit. I also toss an extra zip tie or two and any roll's of electrical tape that are down to the end. Do you have any tips on things you keep as extras in your cycling bag? While this past winter has not been as snowy or cold as last year, the coming weekend shows that Spring is arriving. We'll have high tempertures in the 60's to low 70's in some places around the Mid Atlantic. Another sign of Spring arriving is that our latest Rustines order arrived. 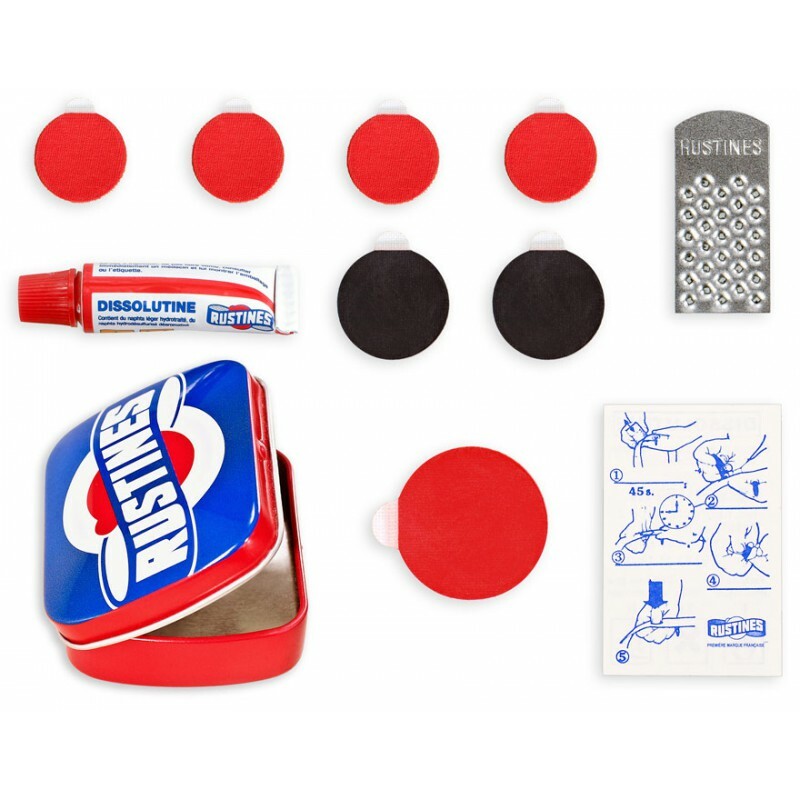 The Campy gum hoods and the gum constructeur grips are here, as are the constructeur grips in black. The small Rustines patch kits in the metal tin are back as well, so time to restock your saddle bag with a new patch kit for spring time riding. We also brought in the Mafac half hoods in white to brighten things up for Spring. You can follow their continued adventures through VO's instragram. What are people's plans for this coming weekend? It's interesting how worlds that seem very apart can actually run in parallel. This week, the Taiwan Bike Show is on. Igor and Clint have headed over there to see the show, talk to our suppliers and see what is new with the industry and how it might help us offer better, more interesting products to you. On the other side of the world, Baselworld is happening in, yep, Basel Switzerland. This is one of the big watch shows of the world. Everyone from Rolex down to folks who make the straps and buckles for watches go to this show. Similar to how Shimano and SRAM are at TBS as well as the small companies that make nuts and bolts for cranks and brakes. I've been getting into watches in the last year. I partially blame a good friend of mine who collects older mechanical watches for starting me down this road, combined with a podcast or two that has enlightened me to this world. One similarity that I find between the two worlds is that there are watches that are super complex, made of carbon fiber and thousands of little parts that cost a fortune, that coexist in the same world as the vintage inspired watches that cost, shall we say, a more reasonable sum of money. Now one can say, watches? Who needs one? Smart phones can act as a time piece that also can keep all your appointments organized and your schedule running along. I grew up prior to smart phones, and I always have a watch on me. 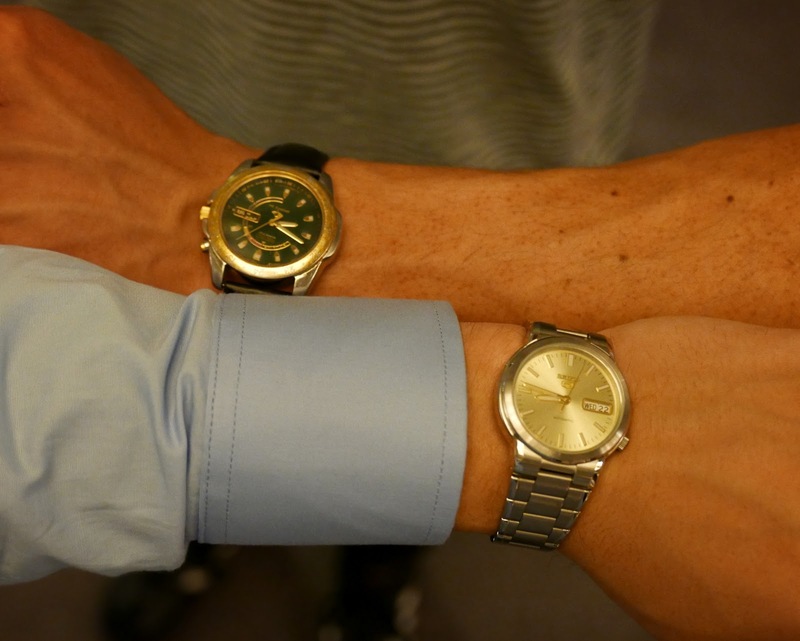 Igor and Clint, younger then me, are also watch wearers. Both have automatic watches - one that relies on the action of your wrist to keep a spring moving inside the watch that keeps the second hand moving. The result is no battery required. To me, this is the watch equivalent to the mid 80's Trek and Miyata touring bikes. A solid mechanism, that, given a little bit of love and care every few years, will see you through just about anything. Quartz watches (the ones with a little battery) were supposed to kill off automatic watches. Yet, shows like Baselworld show that the desire for automatic watches/mechanical watches still exists. The rise of carbon bikes and 11 speed index shifting should have meant that steel bikes and non aero levers should have disappeared and yet year after year at NABHS, Bespoke in the UK, the Philly Bike Expo, and the New England Builders Ball, more small steel frame builders rise up to take up the torch of a steel frame builder. So who still wears a watch and do you wear it while cycling your steel bike? 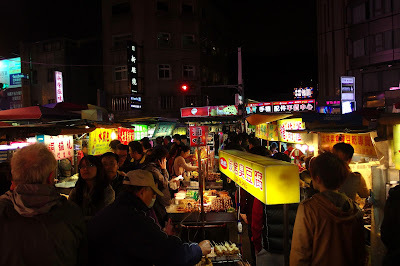 Next week, Clint and I are traveling to Taiwan to attend the Taipei International Cycle Show. We'll meet with our suppliers to discuss frame designs, new cockpit offerings, fenders, rims, and a multitude of other parts and accessories. In between meetings, we'll ride bikes and eat lots and lots of street food. I'm taking my trusty Campeur: 20 speed'd, fender'd, front rack'd, and dynamo lighting'd. Clint is taking a much more minimal approach to his travel bike: a single speed Surly Traveller's Check with front rack for lots of 7-11 sushi triangles. Expect lots of photos on Instagram, and don't forget to check out our Stories, too! We just got in these fast-rolling and extra supple XC tires by our friends over at Fairweather and Panaracer in Japan. 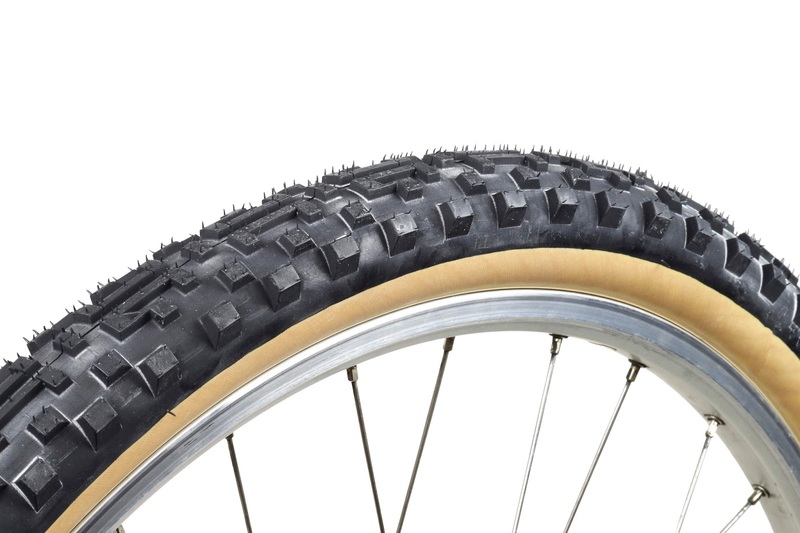 These tires are a great fit for your no-road touring or MTB. Though they are designed for mounting with a tube, Clint is going to try out running them tubeless on his hardtail. They're available in 26x2.1" and 29x2.25". Lastly, we just got in a shipment of Mojave Cages and Fairweather Shred Bars. As a history major and someone who volunteered at the Air and Space Museum's archives department while waiting for a green card, I'm a sucker for old information. I'm also the person here at VO that answers most of the questions via email and phones, so I have a handle on the kind of questions that we get on a regular basis. Now that VO is at a point where we have been around for over 10 years (last year was our 10 year anniversary, we'll still take congratulations cards), we have products that were made for a few years and then for a variety of reasons, dropped from our line up. So we have created a new resource for the discontinued frames - an archived frame section. We're basically putting up the same descriptions that we had when we sold the frames. So if you have a Rando frame and you don't recall how big a tire fits it, you can look it up there. We also have the older frame specs in the tech pages. So if you want to compare head tube angles and such for a bike you saw on ebay, this is the place to go. We're proud of our line up of bikes. Certainly times have changed. Back when the Rando was in production in 2010, 32 mm tires were considered wide by most folks. Now on builds of the Campeur and Disc Pass Hunter, 32 mm seems to be where most customers start. Yet looking at the frames we have made, you can see a consistent lineage of designs made to take fenders, racks and look timeless. We're putting Microfiber Touring Saddles in regular and wide widths with dinged or crooked badges on sale. We've moved to doing a screenprinted VeloORANGE logo because we think they look better and are safer during transport. We're working on a new design for our VO skewers to make them more disc brake friendly (they currently flip open more than 180 degrees), so our current ones are on sale. They're perfectly fine for disc and rim brake applications granted you have brushed up on Quick Release 101. 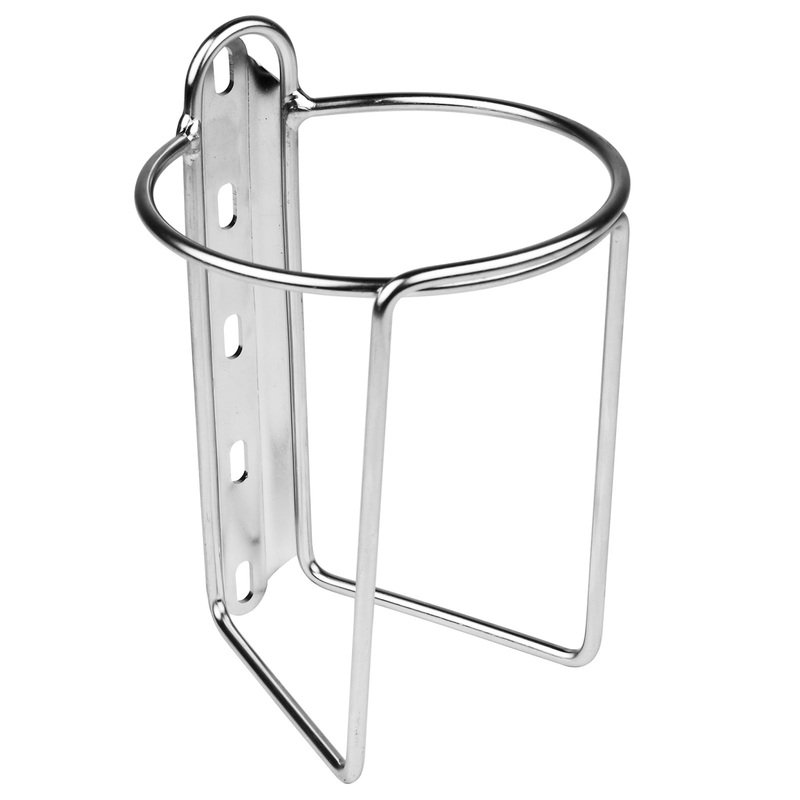 Thanks so much for your patience with the Cigne Stems being out of stock. They take a long time to make and the last production run sold through way faster than we expected - sometimes that happens when you test the waters with a new product. We're getting lots more in early-April. 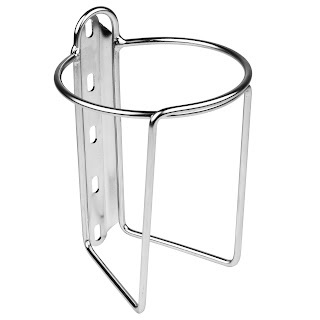 More Mojave Cages are arriving next week. When you sign up for a product alert, you get an automated email telling you a product is in stock. Using bikepacking equipment means you probably have braze-ons that go unused. 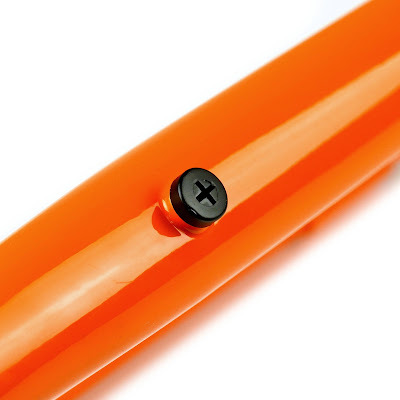 These nifty plastic screws plug your frame and fork's holes to deter moisture and debris from entering your tubes. We have an office tradition of wearing tie-dye on Fridays. Tie-dye Fri-dye. I may or may not be the only participant. Anyways, I was looking at our white bar tape the other day and thought a little tie-dye would be a great way to spice it up. It's easy enough to do. You just need a tie-dye kit and white cotton bar tape. I like our tape for this application. It's nice and thick so it'll soak up plenty of dye. I experimented with a few different folds for the tape. I don't think these ended up making much of a difference. It's easy enough to wrap a few rubber bands around it right out of the box and get to the dying. When you've got it all wrapped up, I'd recommend soaking it in water before you dye. This will help the dyes absorb into the fabric. Time to dye! I tried a couple different dye application methods. Stripes along the rubber bands and soaking the top and bottom of the coil. Both worked pretty well. You really need to get in the cracks of the tape to make sure it all gets color. Unless you want some white. That's a pretty cool effect too. Here's the tape on a couple bikes! I think it turned out pretty darn well. Just in time for the unseasonably warm weather we're having! Shout out to Alison for the corks! We had some leftover dye from the bar tape so we tied an dyed a few shirts, shoes, and caps! Great participation in tie-dye Friday today!